Though it's always a relief to find a wonderful home for a foster pup, I do always worry a bit about my foster babies when they go into their new homes. Will they fit in? Will they really be OK with the family cat? Will they get cuddled enough? Will they connect to their new people? 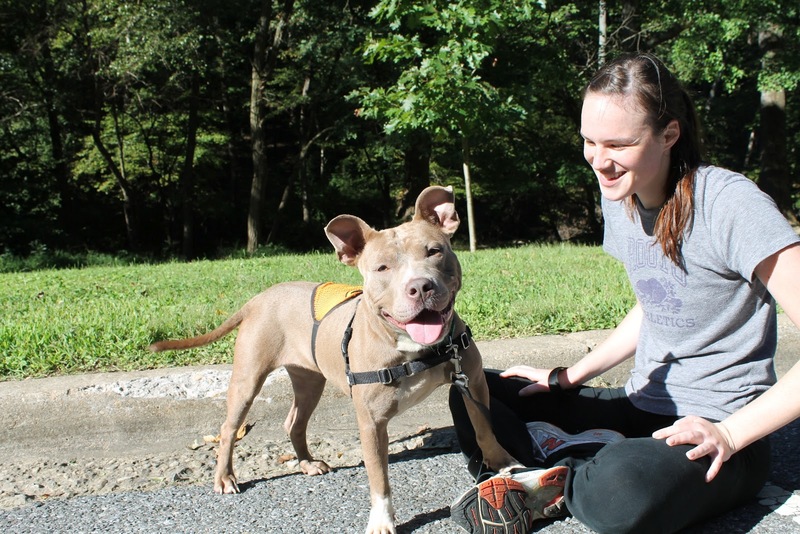 The Washington Humane Society, unlike some of the rescue groups I have worked with, does not put up extensive hurdles for adopters to jump over. As a municipal open-access shelter, they are focused on getting animals out of the shelter and into homes. As a general rule I'm in favor of this, at least when animals are still dying in shelters because the humans in charge of them could not find them a home. Thank You again for introducing us to Brownie...his name has since been changed to Ralphie. He is such a happy boy!!! He loves playing with our other dogs and giving our 10 and 6 year old girls kisses on the face. He has turned out to be a great addition to the family. 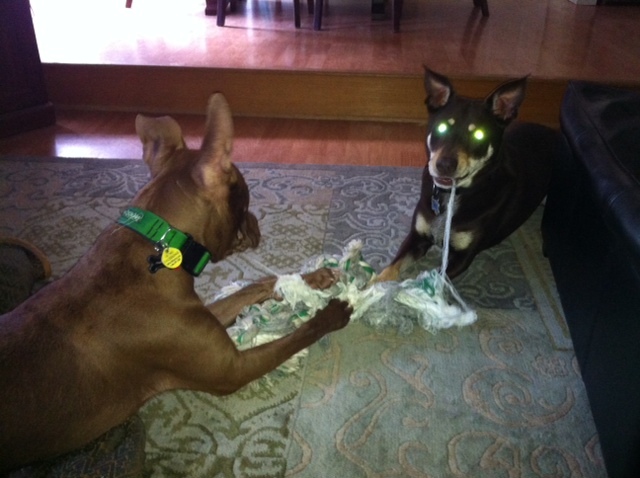 Here he is playing/chewing on a rope/tug toy with our other male dog Spencer, the two of them love to play tug together!!! Here he is relaxing on the couch with myself, my husband and 10 year old step daughter....he has taken a special liking to her!!! ...I know none of us were sure about Ralphie and cats...well....he gets along great with our cat. Ralphie has become such a great family member...he is such a good boy....couldn't have asked for a better dog!!!! Yay Ralphie/Brownie! I'm so glad you found your perfect family. For those of you wondering about Blue, she is still at the shelter, I hope still having a good time. She was actually adopted too, by a lovely young couple, but was returned when the landlord and upstairs neighbor were uncomfortable with her...likely because of her breed. So there's a case where a bit of extra screening might have been a good idea, would have saved those adopters some time and heartache and saved Blue some stress. Still, on balance I think that at least until adoptable animals are no longer dying in shelters, we should err toward making adoptions easier, not more difficult. Labels: Blue, Brownie, Why foster? I think Blue is the cutest! I do not think making adoption screening more strict is not the answer. I, for one, am pretty sure my place would have failed a home check due to a low part of my fence which dogs could potentially jump over. Luckily, neither of my adoptions required a home check and I was able to use my judgment to know whether my dogs would ever be inclined to jump the fence. In addition, I think if I had asked my landlord ahead of time if I could adopt a pit bull, he might of said no, but upon meeting each of my dogs, he thinks they are great. It seems the risk of a dog being brought back is worth the possibility of them having a loving forever home. I once was turned down from adopting a cat, because I checked indoor/outdoor on the application! I do worry of course that some will slip through the cracks and end up in a bad home, but in general I think adoption laws have to be loosened up. I've heard of so many people (myself included) being turned down for what I consider to be technicalities. The bottom line should be whether the dog will be loved, exercised, cared for and worked with for any issues, not whether the yard is fenced, or whether someone will be home 24 hours per day. JMO. This is such good news about Brownie/ Ralphie! I do think adoption should be just a little easier to get more pets into homes. Sorry about Blue. She seems to be such a sweetie and I do hope she finds a loving forever home soon. I do think there are some rules that must be followed before someone adopts, but I also agree that getting them out of shelters and into loving forever homes is the ultimate goal. Having worked in a shelter it is a very difficult line. You worry that if the rules are too lenient then breeders or other "bad" people will get the animal. But if the rules are too strict, then you may lose out on some wonderful people. Difficult situation, and you pray that you have done the best for the animal. You make good points and we're inclined to side with you. A more extensive screening does not ensure that doggie and human will click. Just like hiring the "best person" for the job does not ensure that that person will be the success that everyone had envisioned. SO hard to say either way. We foster for a rescue so there are more "hurdles." Basically an application and our coordinator goes over questions. She routinely turns people down or asks questions to help them realize if the dog they want is actually the right fit. She also has "rules of thumb" that she does occasionally bend. (i.e. rarely places two bully females together, doesn't often place bully breeds in rentals, doesn't put dogs over 40 pounds in apartments, etc.) but obviously she does all this with 20+ years of experience not wanting these dogs to get adopted out and simply be returned because it wasn't the right fit. Dogs still get returned but I think she does a good job of making sure dogs find the right home. I'd have a hard time fostering for a place where there wasn't much screening because I already worry like a maniac but you are right, there are pluses to those types of places too. 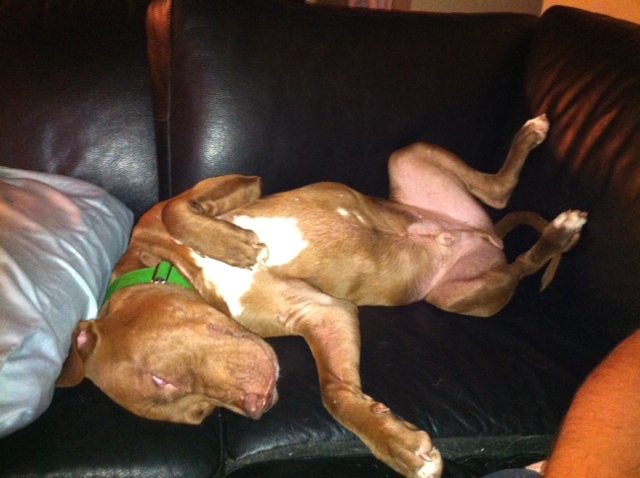 In fact, when we adopted Hades as totally inexperienced, poor renters most rescues would have turned us down. 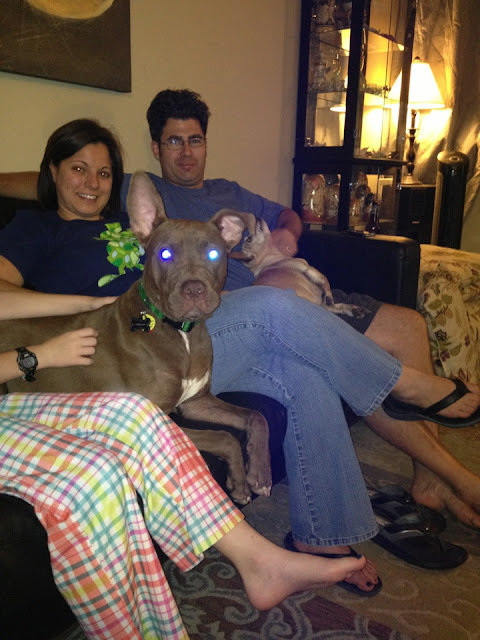 But let me just say--look what great adopters we ended up being! So... who knows. By the time we adopted Braylon (from the same rescue I now foster for,) she bent the rules for us because she had a good feeling, and again may I add, that turned out wonderful for all involved. SO... that's a debate I could never fully side on. I’m happy to hear about Brownie/Ralphie. :) It’s always a stirring moment seeing a full grown dog finding a family. Adoption is easier for puppies, we know that. I hope the same thing will happen to Blue. It’s sad that he’s been a victim of branding. Pit bulls are naturally sweet dogs. It’s just that most of them have been involved in cruelty.